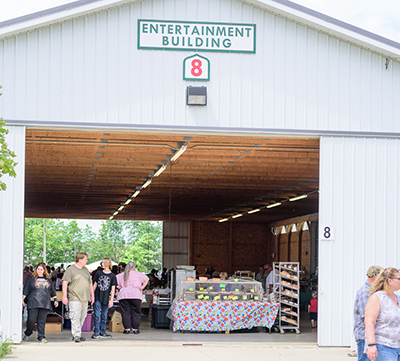 The TIFFIN FLEA MARKET sponsored by the Seneca Junior Fair Foundation will begin its 40th year of operation at the Seneca County Fairgrounds, Tiffin, Ohio. The Tiffin Flea market was established in 1978 and has gained the awesome recognition and reputation as being the largest show in Northwest Ohio. People come from far and near to visit this very successful flea market. We believe in advertising to promote the shows by utilizing various area radio stations, many newspapers, trade magazines and TV stations. The Jr. Fair Foundation is an all-volunteer, non-profit tax-exempt organization. Its purpose is to improve the welfare of the Seneca County Jr. Fair participants. The organization is dedicated to providing an opportunity for the youth of Seneca County to learn and develop leadership skills thru participation in Jr. Fair activities and programs. Proceeds from this fund raising activity helps to fund a variety of improvements on the fairgrounds and projects that benefit Jr. Fair youth. It is important that you read and understand the changes to the “RULES AND REGULATIONS”regarding space size and fees charged; you will be held accountable for the contents as it applies to you. You will find the deadline date and payment amount for your reservation. Please contact Joan if you have any questions. Gate #5 is along the North side of the fairgrounds (referred to as the “Back 40”); you can access it from Fairlane Avenue (off Hopewell Avenue) or coming in from the east and following the fence to the back gate. Line releases on Friday at 10:30 am. Remember, no PETS including dogs on the fairgrounds. 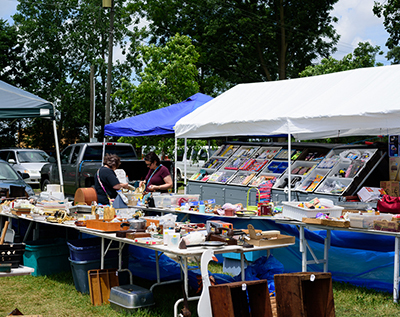 Welcome to the 2019 Tiffin Flea Market season. We look forward to a great year working with you! Open Saturdays 9:00 a.m. to 4:00 p.m. and Sundays 9:00 a.m. to 3:00 p.m.